Tony Stewart post NASCAR plans are to return to his roots, more dirt track racing. 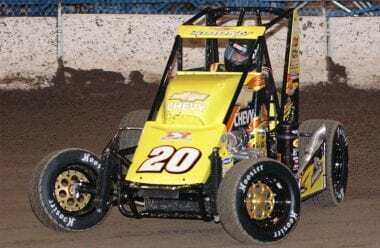 “I plan on running a lot of dirt races after the end of the season when I retire from the Cup stuff, so I would say this is on the radar,”Stewart said during a press conference Monday at the Lucas Oil Chili Bowl Nationals in Tulsa, Oklahoma. Stewart isn’t competing this week in the 2016 Chili Bowl Nationals but will help with track preparations again. He did the same thing last year. He’s not driving a midget this year but he is driving a tractor to get the track in shape at the River Spirit Expo Center at Tulsa’s Expo Square. Chili Bowl racing starts tonight and doesn’t conclude until Saturday night. Many Chili Bowl drivers have NASCAR ties. Of those; Kasey Kahne,Kyle Larson, Ricky Stenhouse Jr., J.J. Yeley and defending race winner Rico Abreu. Tony Stewart has deep ties to dirt racing. Beyond, cars and teams he also owns the famed Eldora Speedway.